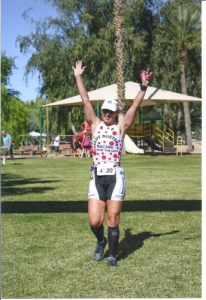 Our thanks to the athletes and donors of Team Stop The Clot® for their tremendous support of the National Blood Clot Alliance. 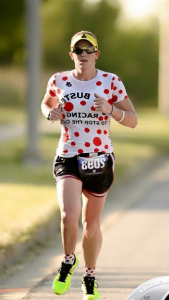 Whether it be during a 5K, marathon, Ironman, or triathlon, Team Stop The Clot participants can be found sporting their red polka dot gear all over the world. 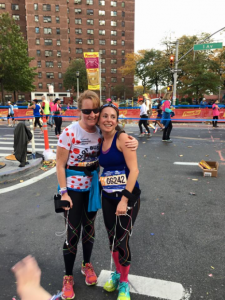 The incredible efforts – and generosity – of our team members goes a long way in supporting our mission, and increasing awareness about life-threatening blood clots. 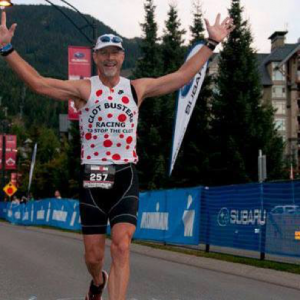 Stay up to date with future team events by joining our page on Facebook. 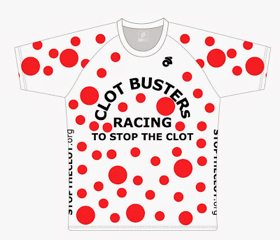 Click here to purchase a “Clot Buster Race to Stop The Clot” running shirt, cycling jersey, triathlon top, and/or performance hat. 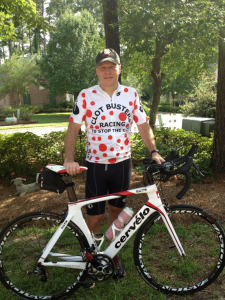 We are proud to share a few of the many inspiring words and pictures from our Team Stop The Clot members. 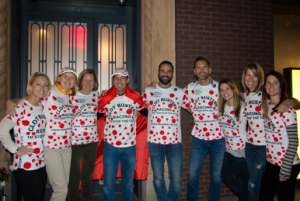 Our incredible 2015 NYC Marathon Team Stop The Clot gathers outside of Amaranth Restaurant in NYC for our Annual “Marathon Eve” dinner celebration. 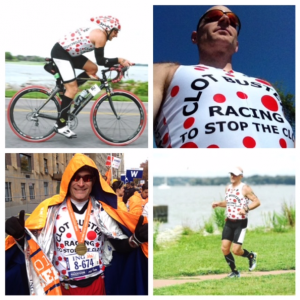 Roland Varga, Clot Buster blogger and dedicated Team Stop The Clot member, pictured at a few of the many races where he represented NBCA. 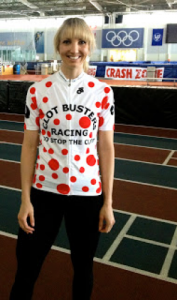 Rebekah Bradford, Long Track Speed Skater, 2010 Olympian in the Vancouver Winter Games, and blood clot survivor. 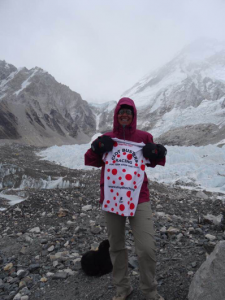 Angie Moorefield, sporting her polka dots once again, this time at Mt. Everest. 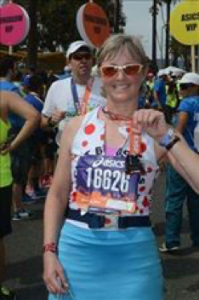 Kelli Butenko at the 2015 LA Marathon. 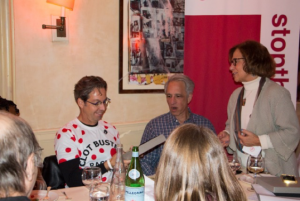 Phil Kean receiving the “Top Fundraiser Ever” award for raising the most funds in Team Stop The Clot history, over $50,000! 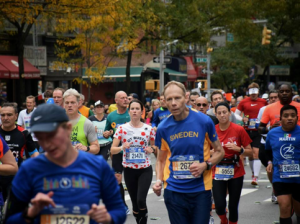 Clotbuster Kristine Hinterkopf easily “spotted” on the crowded streets of NYC. 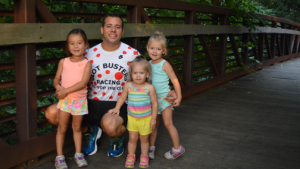 NBCA board member and avid Team Stop The Clot athlete Eric O’Connor has done some outstanding things to raise awareness about blood clots. 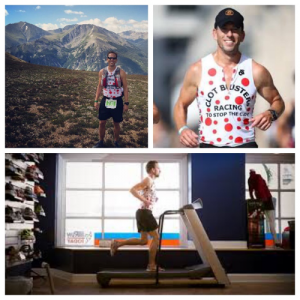 From running 24 hours on a treadmill to hiking all across the Colorado Rockies, what will he do next? 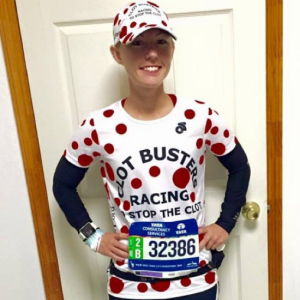 Jennie Loucks all geared up and ready to go for the 2015 TCS New York City Marathon. 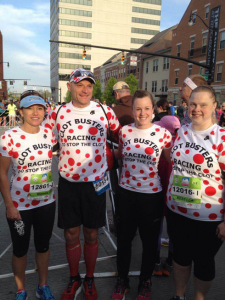 Team Stop The Clot at the Cap City Half Marathon. 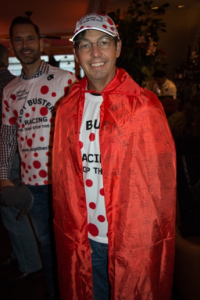 Phil Kean created a painstaking work of art on his “tribute cape,” writing the names of his 400+ donors in template-drawn Clotbuster polka dots. Faith Delaney stopped a moment for a congratulatory hug and photo shoot. 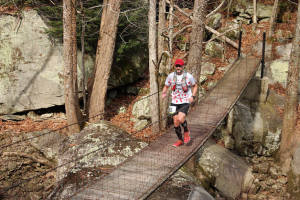 Steven Stewart captured during one of his races. 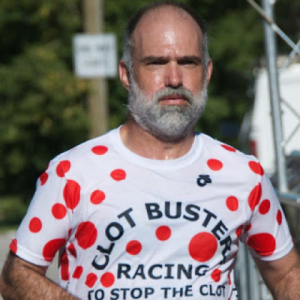 His advice for someone having a tough tie after experiencing a clotting episode?